Let's be honest: Superman movies don't have the best track record. Superman I and II , starring the irreplaceable Christopher Reeve as the Big Guy, were charming and campy and did well; III and IV are probably buried in the back of someone's closet in a box labelled "Oops." Bryan Fuller pretty much ignored them when making his 2006 Superman Returns, which did okay at the box office but was really just a rehash of the old films (often directly lifting lines from I and II in what I assume was meant to be "homage" but usually just felt like a lack of originality). To be fair, it's hard to make a good Superman movie, in large part because the Big Guy himself has struggled with PR. Casual readers or movie-only audiences often see him as boring or too PC, and it's true that Clark Kent is unique in that he typically doesn't have the Tragic Backstory (TM) of, say, Batman or Catwoman. 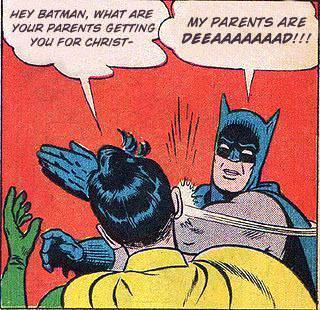 Literally nothing is funnier than a "Batman's parents are dead" joke. Of course, Kal-El did technically lose his entire planet and all of its people, but he was a baby when it happened and doesn't really remember it, so it rates more of a, "Ohhh," than a "Oh God," on the Scale of Tragic Backstory. In fact, Clark Kent had what was by all accounts a rosy--if occasionally cripplingly awkward--childhood in Kansas, raised by the loving Ma and Pa Kent. He stands for "Truth, Justice, and the American Way" because he is the American Dream: the Kansas farm boy who made good. And what most movies fail to recognize is that this exact blandness is what makes Superman/Clark Kent so interesting. He's not supposed to be a brooding, dark hero who is going to give the world "the hero it deserves," because pessimism is for the weak and this dude eats bullets for breakfast. Clark Kent is an optimist, and in a world like Metropolis, that's a big deal. Lois thinks you're pretty, but also pretty dumb. The truth is, Superman is a little boring. And that's okay! Because the best thing about Clark Kent is that he is, despite everything, a boring dude. He maintains that Kansas farmboy attitude even when he's running around in spandex and embarrassing Batman by carrying him around like a sleeping baby. But you can't make a good superhero movie about boring people, which is why so many Superman films fail. The CW figured it out with their enormously successful Smallville: what makes the world of Superman interesting is not Superman. It's the people around him. Lois Lane, Jimmy Olsen, Ma and Pa Kent, Lex Luthor, Perry White . . . Superman is an alien trying to pass for a human, but he never quite gets it right because the people in his immediate vicinity are all so distinct. It's like Superman can never quite figure out who he wants "Clark Kent" to be--shy, awkward, earnest Jimmy Olsen, or brazen, fierce, loudmouthed Lois Lane? The Superman movies that fail do so because they focus too much on the man himself--and not enough on the people who surround him. The back-and-forth relationship between Lois and Clark has always been one of the best dynamics of his story--her hardline realism and his starry-eyed idealism make for great interplay (see also: Batman and Superman's Broship of the Ages). The truth is that Superman can afford to be optimistic, blessed as he is with being, uh, invulnerable. Lois, not so much. When she gets herself into trouble, it's real trouble. Superman doesn't have to worry about silly things like guns or explosives; Lois is constantly trying to outrun them. SUPERMAN is about someone trying their best to save the world, one day at a time; and it's about that person's love for that one whose intellect and motion and sheer bloody humanity completes him. It's about Superman, and it's about Lois and Clark. And that's all there is. That's the spine. That must be protected to the death, not lost in a cannonade succession of continuing stories. He's right: it's not hard to play Superman. all you have to do is look devastatingly handsome, trustworthy, and sincere. I'm sure Henry Cavill will do a beautiful job. The world he inhabits, and the characters that people it, need to be a bit more nuanced, and the heart of the movie ultimately rests in their hands. Amy Adams, do me proud, girl. "Lois Lane's secret weapon is her determination. And her fearlessness. Lois Lane's two secret weapons are her determination and her fearlessness. And her resourcefulness! No--among Lois Lane's greatest weapons are . . . no. Let's go again."